The number 4 position in the passenger vehicle category in India has been up for grabs and Tata Motors and Honda Cars India have been locked in a fierce battle for this slot after Maruti Suzuki, Hyundai Motor India and UV giant Mahindra & Mahindra. Tata Motors has finally managed to outrun Honda Cars India in terms of sales figures and has grabbed the 4th slot in the country. Tata Motors sold 187,321 units for the period between April 2017 and March 2018 while Honda Cars India could sell 170,026 units in this time period. The growth tally for Tata Motors and Honda Cars India stands at 22% and 8% respectively as per reports. 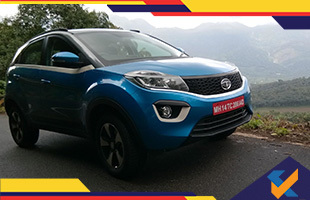 Tata Motors has benefited from the success of the Tiago hatchback which reportedly contributes more than 40% of total sales volumes for the company and the Nexon compact SUV. The Hexa and Tigor have not been huge successes since they are positioned in highly competitive market segments. Honda Cars India has also witnessed growth due to steady sales of its Honda City executive sedan and the WR-V crossover. Honda Cars India has outstripped Tata Motors in sales figures only for the months of April, July and August in the last financial year. Watch out for more competition between these two automobile behemoths. Honda will launch the new Amaze, CR-V and Civic in the current financial year. Tata Motors will bank on steady sales figures of its newly launched models and will aim at wresting the 3rd position eventually from Mahindra & Mahindra in the Indian market.